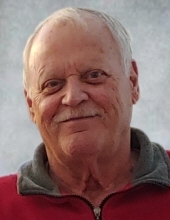 Ronald “Ronnie” Thomas Rathke, age 78, of Faribault, died unexpectedly Tuesday, April 9, 2019 at District One Hospital, Faribault. Memorial services will be held at Boldt Funeral Home, Faribault on Wednesday, April 17, 2019 at 2 p.m. Military rites provided by Rice County Central Veteran’s Association. Visitation will be at Boldt Funeral Home for one hour prior to the service on Wednesday. Ronald Thomas was born on November 19, 1940 in Eau Claire, Wisconsin, the son of Conrad and Evelyn (Lawrence) Rathke. As a child, Ronnie’s family moved to Rochester. He was an amazing three sport athlete playing football, basketball and baseball. As a sophomore he was the starting quarterback for the Lourdes state champion football team and recently, Ronnie and his 1957 football team were inducted into the hall of fame for being undefeated. In 1958, he graduated from Lourdes High School and enlisted into the United States Navy in 1960. Ron proudly served his county for four years working on airplanes. He also played Legion Baseball and was on the semi-pro team in Rochester. He returned home and married Carmen Schmidt on December 28, 1968. Together they had three children. Ronnie worked as a bartender at Jim & Joe’s/Northstar for a few years along with working on the railroad. He spent some time working in admissions at Vo-Tech and ended his career at IBM in payroll. After retirement, Ronnie was a bagger at Barlow Foods and then went on to work at Action Plumbing with his son, Jeff working as a shop foreman and parts runner. Ron enjoyed trout fishing, gardening and doing odds and ends around the house. He also enjoyed trips to the casino, watching the Minnesota Twins and Vikings, caring for his four cats and eating absolutely everything sweet! Ron was preceded in death by his parents, Conrad and Evelyn; wife, Carmen; brother, Dave and sister, Kathie. He leaves his children, Craig (and Sarah) Rathke, Jeff (and Julie) Rathke and Jessica (Kevin) Filan; six grandchildren, Madison (and Felipe) Rendler-Ramirez, Austin, Aubrey, Sawyer, Oliver and Logan; brothers, John Rathke, Stan (and Bonnie) Rathke and Al (and Connie) Rathke; sister, Janice (and Fred) Meyers and his pets, Hemi, Peanut, Cleo, Simba and Pixie. "Email Address" would like to share the life celebration of Ronald Thomas Rathke. Click on the "link" to go to share a favorite memory or leave a condolence message for the family.